The Ministry of Youth and Sports confirms that this year’s Inter-college Athletics Games will be held at Progress Park in St Andrew on 6, 11 and 12 March 2015. The decision was taken after extensive consultations with the major stakeholders, including the Principals Association, and some of the sponsors. It had been hoped that the games would have been held for the last time at the cricket stadium at Queen’s Park, as the rehabilitation of the nearby athletic stadium continues with a view to it being available from 2016. The decision to move the meet from the preferred temporary venue however, is because the National Stadium is scheduled to host an important test cricket match between the West Indies and England from 21 to 25 April 2015. The authorities need to work on the field and pitch from now until then, to ensure that the conditions are up to the standard required for such an international match. Those preparations were hampered by unusually wet weather in January, and so all the time is needed to ensure the credibility of the ground. The West Indies Cricket Board has set strict guidelines for the preparation of the venue which we are committed to meeting. The decision to move Intercol to Progressive Park was not taken lightly. After the extensive consultations with all the stakeholders, it was felt that Progress Park was the best optional venue because of both the size of the field and the ground conditions. At this time, it is a far more attractive venue, because of those reasons, than Tanteen, which was also strongly considered. 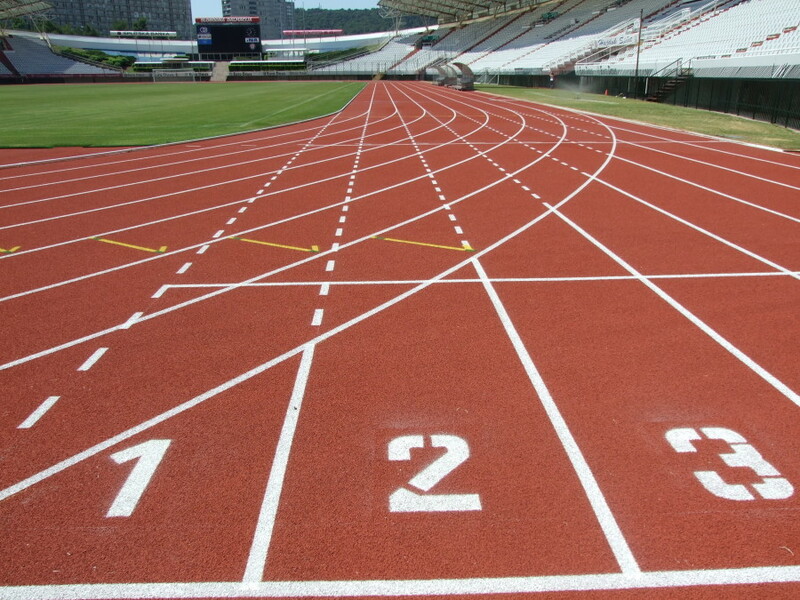 Even so, the decision was taken, understanding that there are many challenges that need to be overcome to ensure that the facility at Progress Park will be of a standard worthy of hosting Grenada’s premiere athletic competition. The current challenges with hosting the games at Progress Park include seating accommodation, general security and crowd management. The Ministry of Sport is working with various bodies and agencies to ensure that all the areas of concern are addressed before the staging of the games. Temporary bleachers are to be built, both at Tanteen — where some individual school sports will be held — and at Progress Park. Current toilet facilities will be upgraded, and additional temporary toilet facilities will be installed for the event. The fencing at Progress Park will be enhanced for security and crowd control reasons and a complete set of new arrangements regarding security are being discussed with the Royal Grenada Police Force. We are confident that a successful and ground-breaking Intercol could be held at Progress Park. The Ministry of Sports and the games’ organisers have tackled these challenges before — in the immediate aftermath of Hurricane Ivan — when the athletic stadium was destroyed. Everyone should also be heartened by the fact that the permanent home for athletics in Grenada is being restored and even enhanced at this moment to host not only the 2016 Intercol games and beyond, but the regional CARIFTA event as well. A full-time committee of Ministry of Sports and athletics officials are now in place, and working tirelessly to ensure the sanctity of the 2015 games. They all look forward as usual for the traditional public interest and support.